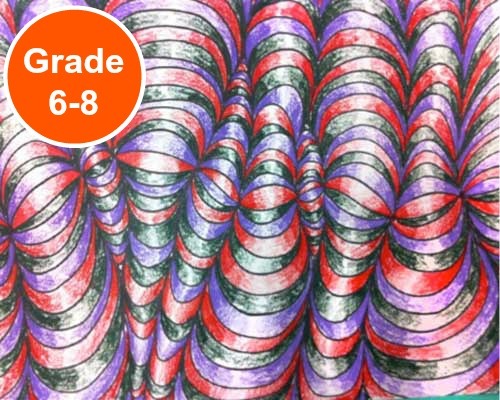 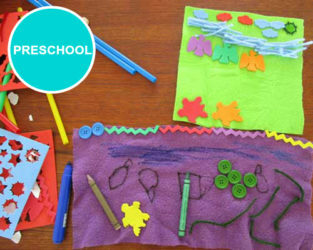 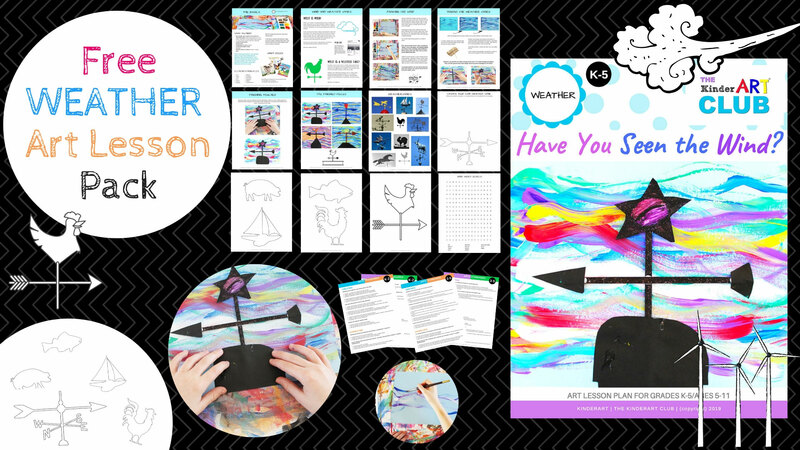 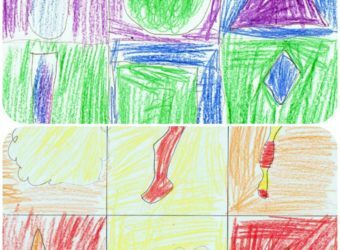 Students will learn that complex forms can be created using simple items. 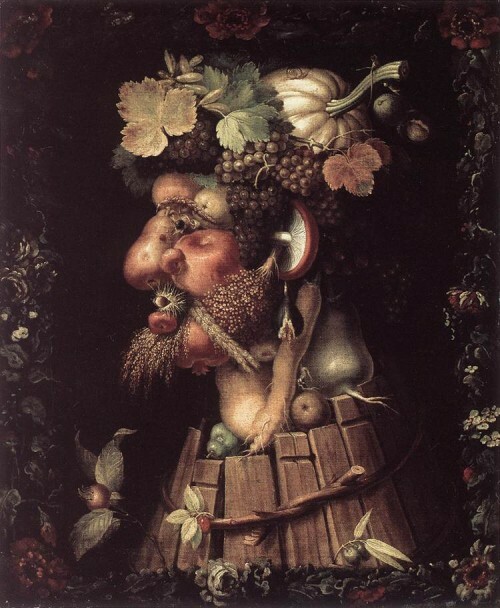 Teachers can tie this lesson into one that introduces students to artist Giuseppe Arcimboldo. 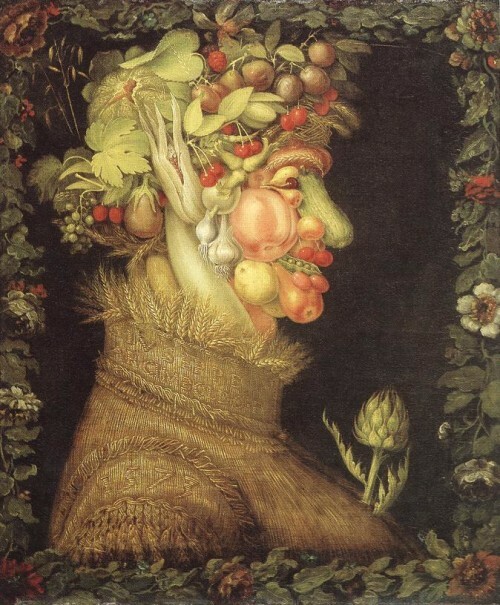 Introduce your students to the artwork of Giuseppe Arcimboldo. 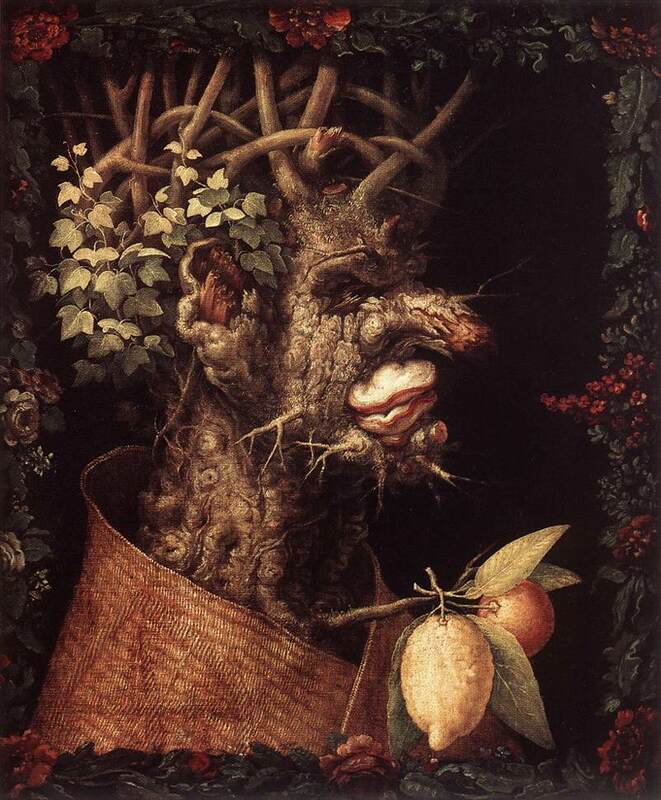 (Wikipedia is a good source of information: http://en.wikipedia.org/wiki/Giuseppe_Arcimboldo) or see the book list below. 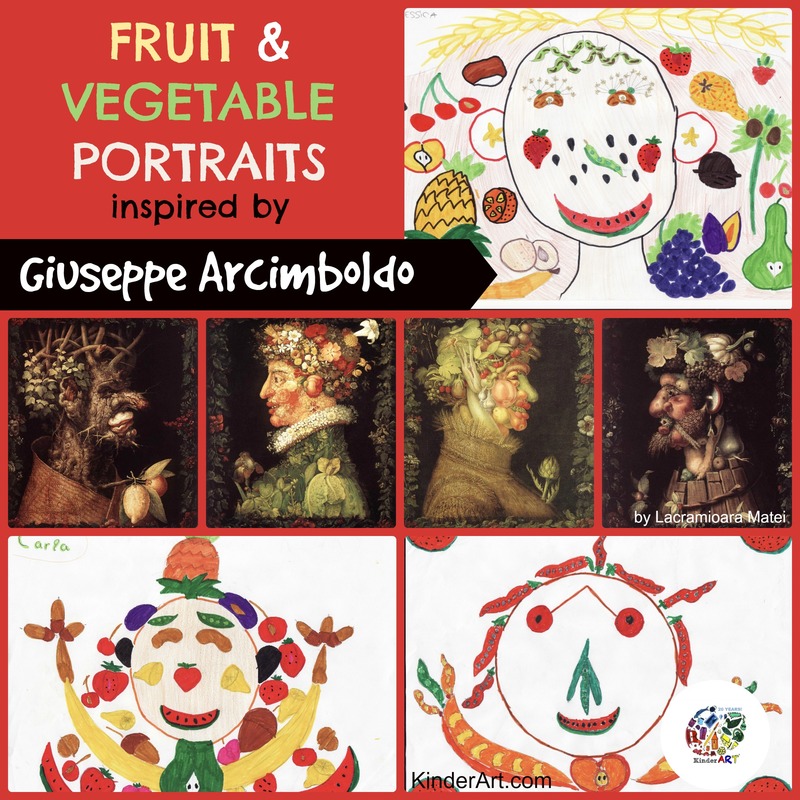 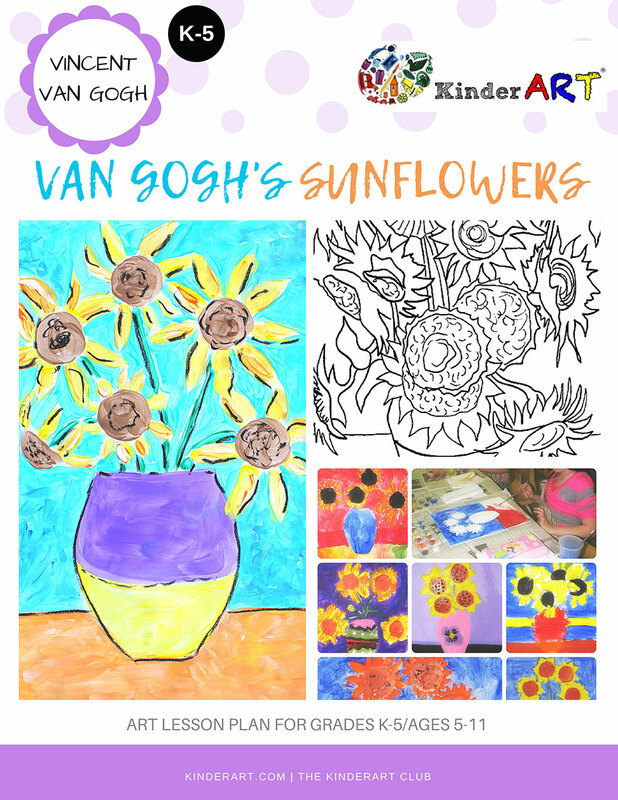 Tell students that they will be drawing portraits, only instead of drawing eyes, lips and noses, they will be drawing vegetables and fruits as the features on the faces. 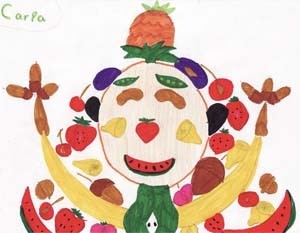 Encourage students to study images of fruits and vegetables, or if possible, bring real fruits and vegetables to class and have students study those. 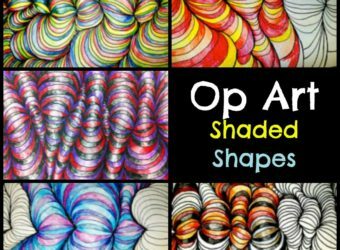 Tak about shape and color. 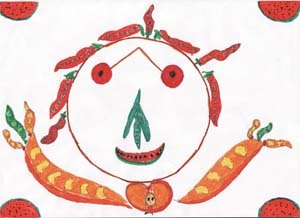 Students will then will choose what fruits and vegetables to use in their drawings. 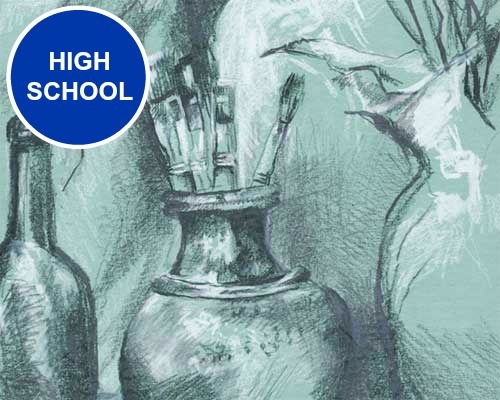 Students begin to compose their portraits, first with an outline of the head (using pencil). 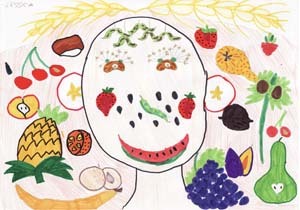 Students then add features to the face by drawing fruits and vegetables in place of eyes, nose, mouth, ears and even hair. 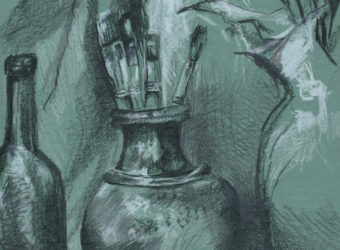 Pencil crayons, markers, crayons, pastels or paint can be used to complete the portraits. 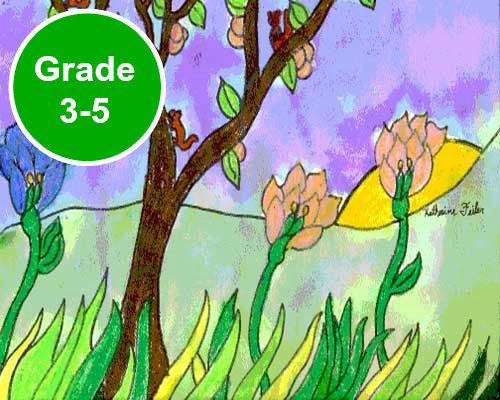 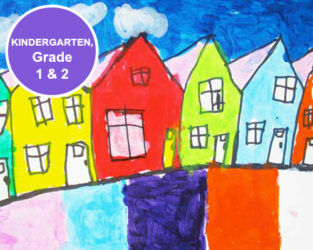 When complete, the drawings should be displayed in front of the class for everybody to admire. 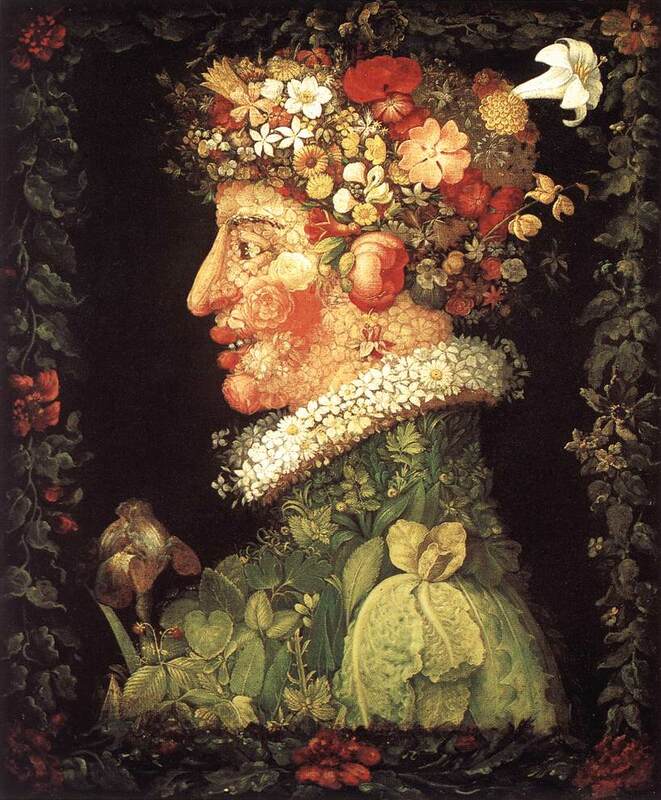 Best Known For: Portraits of heads made up of a variety of objects, from fruit and leaves to flowers and vegetables.